Halloween can be a fun part of the year for you. If you wish to have a great makeup job for the proper effect think about having a professional makeup artist work the magic for you. I think most makeup artists will agree with me when I say that Halloween is my favorite time of year! I have great childhood memories of trick or treating with my siblings and my mother always helped us come up with creative costumes. My love affair with makeup began in my childhood and Halloween was the highlight for me, as I would paint my own face accordingly! In the early days of my career I had the privilege to work as an apprentice with an amazing Emmy award winning makeup artist. He taught me special effects makeup, prosthetic makeup, and working with wigs. It was fun, informative, and inspired me to go onto television makeup artistry. I use many of these pro techniques for my Halloween creations! This season is a busy one for me, with Halloween right around the corner. Hiring a professional makeup artist is the way to go, as our technical skills can put the finishing touches on making your costume shine! We know how to work with the right tools and theatrical makeup products to give you the best results! 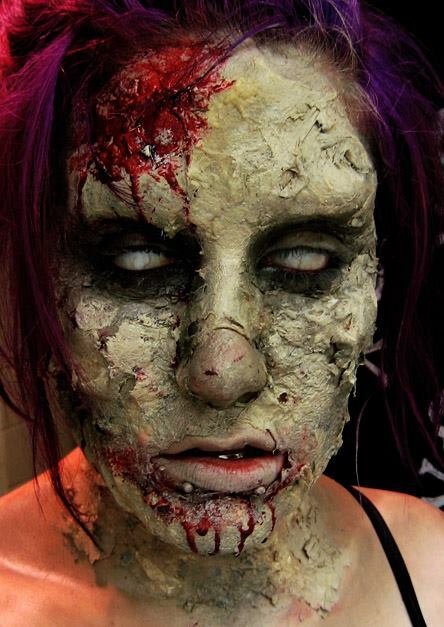 Whether you are planning on going to your costume party as a zombie, a witch, or something from any era in history a makeup artist can help you pull it all together!